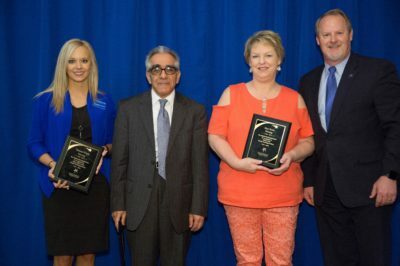 The CETL Faculty Awards Luncheon is an annual event where faculty, students, staff, and administrators gather to celebrate excellence in teaching and learning from across the OKCU campus. The inaugural event began in 2007 and featured six awards. 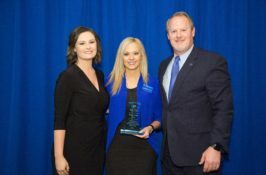 In 2015, the Service Learning Partner award was added to recognize community partners that work with faculty in OKCU-sponsored Service-Learning courses. The 12th Annual Faculty Awards Luncheon will take place in Spring 2018 in the Great Hall. Our keynote speaker will be Josh Eyler. Josh Eyler is the director of the Center for Teaching Excellence and adjunct associate professor of humanities at Rice University. 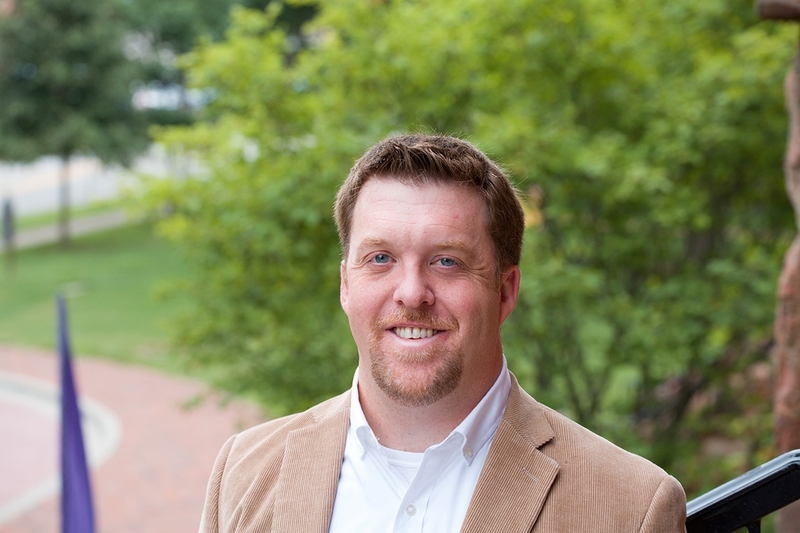 After receiving his Ph.D. in Medieval Studies from the University of Connecticut in 2006, Josh moved to a position as assistant professor in the English department at Columbus State University in Georgia. 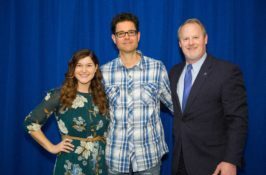 Although he was approved for tenure at CSU, his love for teaching and his desire to work with instructors from many different disciplines led him to the field of faculty development and to George Mason University, where he served as an associate director of the Center for Teaching and Faculty Excellence from 2011-2013. In August of 2013, he came to Rice to take the position of director of the CTE. His eclectic research interests include the biological basis of learning, evidence-based pedagogy, and disability studies. 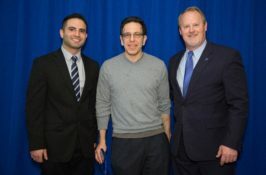 The Excellence in Teaching Award for Full-time Faculty honors a faculty member whose teaching is deemed to be exemplary. Award Criteria includes: demonstrates a mastery of the subject matter and how students learn; click here to read more and nominate a colleague. This year's recipient was Dr. Karen Schiler. Click here to see her Bio. The Excellence in Teaching Award for Adjunct Faculty honors an adjunct faculty member whose teaching is deemed to be exemplary. Award Criteria includes: demonstrates a mastery of the subject matter and how students learn; click here to read more and nominate a colleague. This year's recipient was Armand Paliotta. The Award for Distinguished Achievement in the Scholarship of Discovery honors a faculty member whose contribution to her/his field in research and/or creative scholarship is deemed to be exemplary. Award Criteria includes: a sustained record of research or creative scholarship; click here to read more and nominate a colleague. This year's recipient was Mark Blitz. Click here to see his Bio. 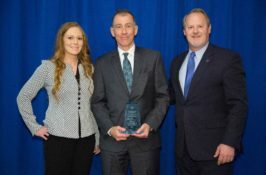 The Award for Distinguished Achievement in the Innovation of Teaching and Learning honors a faculty member whose contribution to the innovation of teaching and learning (particularly in regards to the successful integration of technology to supplement the learning environment) is deemed to be exemplary. Award Criteria includes: originality, impact, and practicality; click here to read more and nominate a colleague. This year's recipient was Dr. Vanessa Wright. 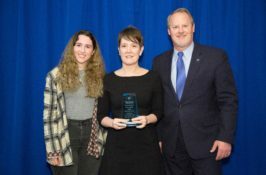 The Mentoring of Undergraduate Student Researcher Award honors a faculty member whose outstanding mentoring and instruction has transformed the student’s undergraduate experience. Award Criteria includes: evidence of exceptional instructional performance leading to excellent scholarly research by undergraduate students through research assignments, guidance in and support of research (models, procedures and activities); click here to read more and nominate a colleague. This year's recipient was Dr. Gregory Mullen. The Award for Distinguished Service honors a full-time employee whose contribution to the University and wider community is deemed to be exemplary. 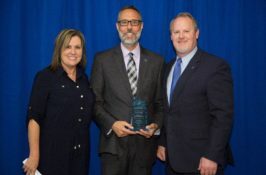 Award Criteria includes years of service and the United Methodist tradition of servant leadership to OKCU and the wider community; click here to read more and nominate a colleague. This year's recipient was Cary Pirrong. The Faculty Teaching Academy is a professional enrichment program offered to all full-time and adjunct faculty. Its purpose is to provide faculty with information, resources, and opportunities focused on enhancing and supporting effective teaching, collegiality, and promoting innovation in the classroom. Those who wish to actively participate in CETL programming are encouraged to become members of the Faculty Teaching Academy (FTA), complete the requirements to earn the FTA Certificate, and become a Faculty Teaching Academy Fellow. Those who successfully complete the requirements for the FTA Certificate will be recognized for their achievement at the annual faculty awards ceremony and receive a small stipend. The program allows flexibility regarding time commitment: the FTA Certificate can be completed in one to two years, depending on the participant’s schedule and desired pace. Components of the FTA certificate include 1) attending 7 workshops offered by CETL; 2) participating in a CETL sponsored Learning Community or Teaching Partnership; and 3) attending the annual teaching portfolio retreat and successfully producing a teaching portfolio. Those wishing to pursue the FTA Certificate should declare their intent by clicking here.